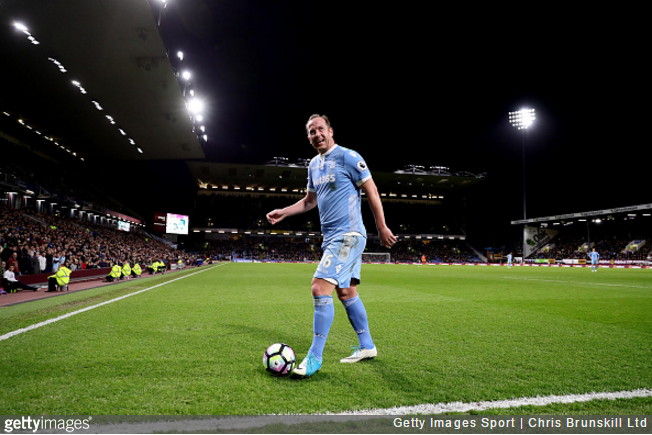 Despite looking like a 50-year-old man who brushes his teeth with supermarket Scotch, Charlie Adam is still making a living as a Premier League footballer. Of course, looks can be deceiving as it’s Adam’s deft midfield playmaking nous that keeps him in work. For the record, handball was signalled and a freekick was given.